Tinner Hill has been recognized as being the location where the first rural branch of the National Association for the Protection of Colored People (NAACP) was initiated in the United States. In 1915, a few brave African American citizens—led by E.B. Henderson and Joseph Tinner—fought an ordinance that was proposed that would have segregated housing. They called themselves the Colored Citizens Protective League (CCPL) the group evolved to become the first rural branch of the NAACP in the nation. The Tinner Hill Heritage Foundation has three, close-in-proximity properties that, remarkably, survive from the post Civil War period. All properties are intimately tied to the history of Falls Church and to the struggles of African Americans to attain their rights and freedoms, from the period of Jim Crow through the Civil Rights Movement. The existence of the properties presents the City of Falls Church and, in fact, the state and the nation, with a rare opportunity a) to preserve vernacular places not grand in stature but immensely important in the evolution of this freedom-based democracy, b) to acknowledge the importance of these places by making their presence central to the City’s development projects. (At present, these planned developments--commercial and residential buildings—surround or are visibly near the African American sites.) In 1999 THHF constructed the Tinner Hill Monument located near the properties. Once the home of Joseph Tinner and Mary Tinner. Mr. Tinner was a master craftsman and stonemason, this site is at present vacant land. Prior to the Civil War, this site was also home to enslaved people who worked on the Dulany Plantation. Therefore, African American families have lived on this site through the eras of slavery, emancipation, Jim Crow, segregation, and desegregation. It is on this site, and inside the home that once existed, that African American residents of Falls Church, organized by Dr. E. B. Henderson, met in 1915 to fight a segregation law that would have required African Americans to live in a small portion of the town of Falls Church. In the process of fighting the proposed segregation, these African American leaders sought out the newly formed National Association for the Advancement of Colored People (NAACP), founded in 1909, and applied to become the first rural branch of the organization. The segregation law was ultimately revoked and the Falls Church branch of the NAACP grew both in numbers and impact, helping to organize branches throughout Northern Virginia and the rural south. This site is designated by the Commonwealth of Virginia as one of only thirty-one African American historical sites in the state. This site was given a Virginia State Historic Marker in 2006 and is one of only two state historic markers in the city. The house at this location was a Sears home built by Dr. E. B. Henderson and wife Mary Ellen Henderson, leaders of the African American community in Falls Church. Dr. Henderson was instrumental in fighting the segregation ordinance. He also fought many other battles for civil rights, was well-known as an editorial writer, and introduced black basketball in 1904. 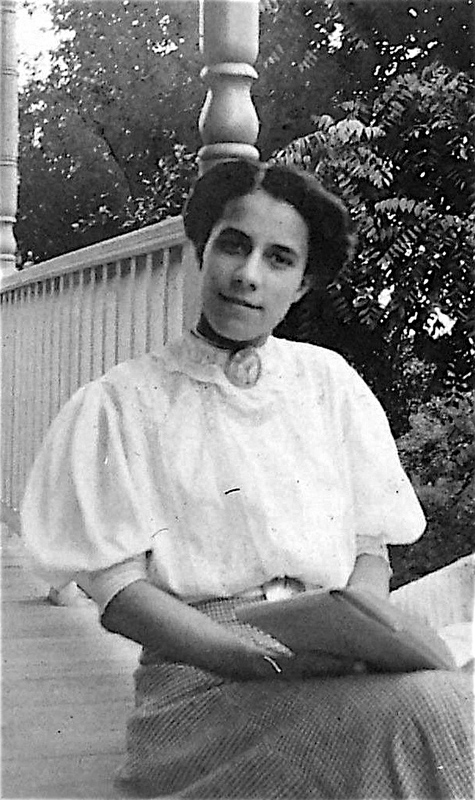 Mary Ellen Henderson, E. B’s wife, was an educator, taught and ran the segregated school in Falls Church. After a twenty nine year battle, she was responsible for the construction of the first new school in the area for blacks. 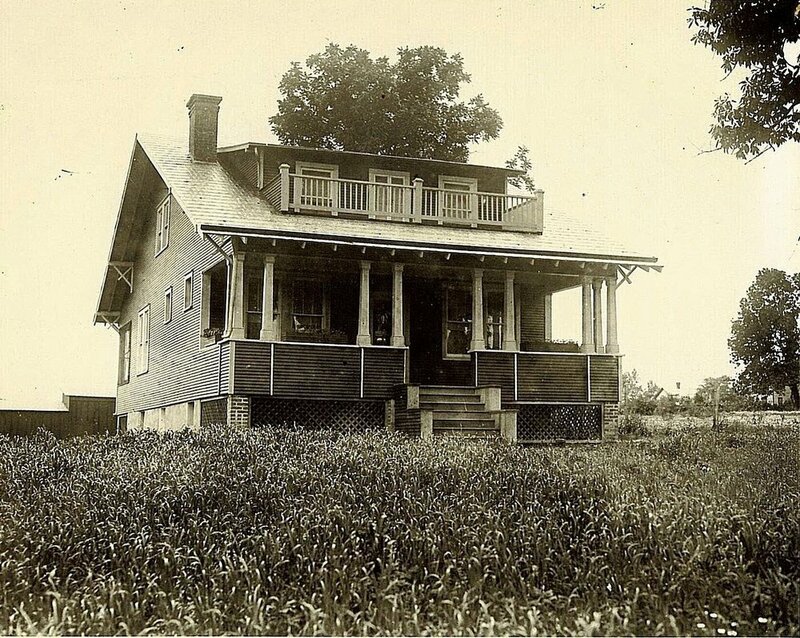 The Henderson home, with its surrounding land, survives and is occupied by Dr. and Mrs. Henderson’s grandson, Edwin B. Henderson, II and his wife, Nikki Graves Henderson. In 1999, the Tinner Hill Heritage Foundation erected a fifteen foot monument, constructed of pink granite, honoring the men and women of Tinner Hill who formed the first rural branch of the NAACP. The Monument that stands at the corner of South Washington Street and Tinner Hill Road. The organization is a member of the Virginia African American Heritage Trail. In 2006 the Tinner Hill historic site were awarded a Virginia State Historic Marker. It is one of only two state historic markers in Falls Church City. The Tinner Hill Monument, also known as the Tinner Hill arch, was built in 1999 by the Tinner Hill Heritage Foundation on the northwest corner of Lee Highway (Route 29) and Tinner Hill Road. 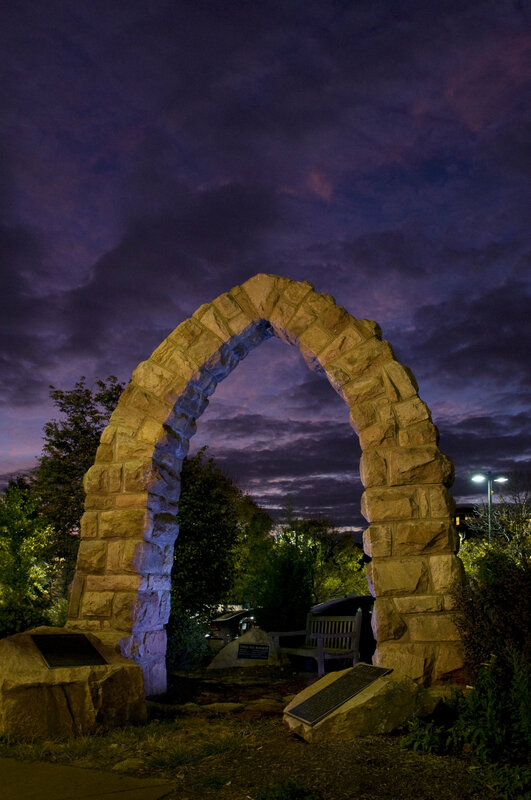 The 14-foot tall roman arch was built of pink granite (trondhjemite) that was originally quarried at the base of Tinner Hill by the Tinner family and then cut and used to build such structure by the Tinners as the Falls Church Bank and the foundation of the Jefferson Institute. 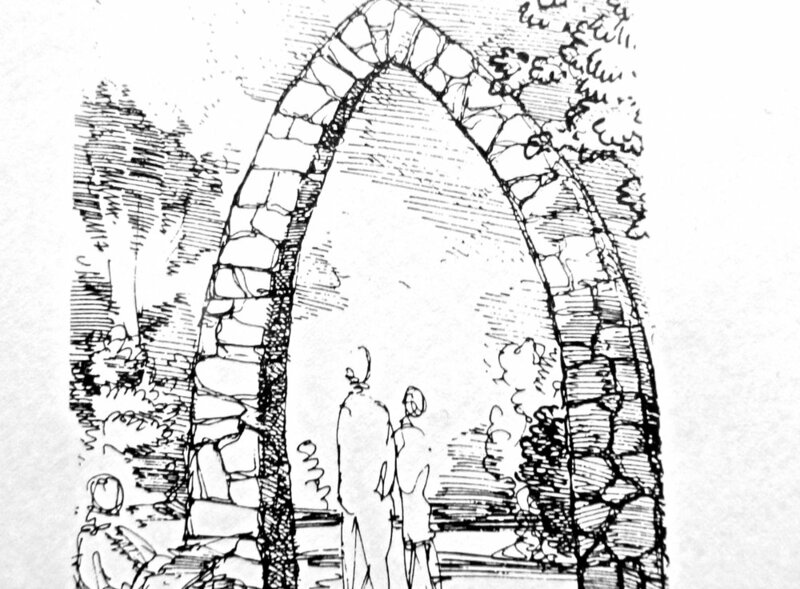 The stone used for this arch was gathered over a two year period from properties around Falls Church. When the stone buildings of Falls Church were destroyed in the mid-20th century, families gathered the remaining stone for their yards to build walls. Over 30 property owners of Falls Church kindly donated back these stones to be used in the monument. Trondhjemite is an unusually beautiful form of pink granite, rarely found. The largest veins are in Norway, Peru, and Alaska. The arch was the chosen form of the monument for three reasons. First, the arch was the specialty of Joseph Tinner and his brothers. Second, the arch is symbolic of two pillars bend toward each other and providing each other with greater strength. This symbolism related to the two “so-called races” and to the combined strength of Joseph Tinner and E.B. Henderson working together. The arch is also symbolic of entering another world, as you walk through it. The third reason for the arch is the simple uniqueness and beauty of the design. To witness this stand-alone arch, amid the commercial world is to see beauty and strength where it is otherwise challenging to see. That beauty and strength commemorates the civil rights leaders of Tinner Hill. The arch was chosen by the Board of the Tinner Hill Heritage Foundation as the form of the Monument. John Ballou drew the design and Mark Coupard was the architect. The structural engineer was Guy Razzi. The land for the arch was donated by the City of Falls Church and Saab International. The majority of the funding came from a grant through Delegate Bob Hull and the Commonwealth of Virginia. The remaining funds came from Dominion Power, the Wollenberg Foundation, and the honorable H. Robert Morrison. A film by Bob Burnett about Tinner Hill and a Harambee Celebration helped the remaining raised funds from throughout the local African-American and general population. Roy Morgan was the principle stone mason and James Ware was the general contractor. Tyrone Lee was the mason’s assistant. The project manager was Dave Eckert. The monument was built in the ancient hand labor tradition by three men over a three month period from July through September, 1999. The monument has a nine-foot base of reinforced concrete and a metal infrastructure for each ascending pillar. The design was prepared and the stone was cut at the Tinner Hill Road cul-de-sac 100 yards from the site at the bottom of the hill. After each stone was cut by Morgan, it was delivered by Lee with a hand cart up the hill, across Route 29 and to the site. Ware and Lee would then place each stone. A 30-minute film, The Making of A Monument by Dave Eckert provides a unique view of this process. Surrounding the arch, are original uncut Tinner quarry stones. The stones were placed to protect the arch from a collision by speeding vehicles. A plaque is placed on each stone telling the story of the civil rights struggle and who built the arch. The Tinner family quarried pink granite rock at the base of Tinner Hill from the late 1800’s into the 1920’s. Before them, people who were enslaved on the Dulany plantation and Native Indians quarried from this site. The abandoned quarry is now paved on top of the hill and at its base is the site of the Budget Motel and Vietnamese Karaoke Restaurant along Washington Street (Route 29 or Lee Highway) in Falls Church, Virginia. Close examination of the undeveloped side of the hill reveals a portion of the original vein of rocks. The Tinner’s quarried the rock and cut it into blocks. The built buildings and foundations of homes from the granite. The 1922 Falls Church Bank and the Texaco Station at the corners of Broad and Washington Streets were excellent examples. Unfortunately, both were demolished in the 1970’s. The only remaining work of the Tinner’s is in building foundations, fireplaces, porches and chimneys of homes in Falls Church. In the 1970’s the Tinner Pink Granite taken directly from the quarry was tested by Dr. Avery Drake of the U.S. Geologix Survey. He ascertained the rock to be Trohnjemite. It belongs to the granite family and consists of biotite, granodiorite, quartz, mica, diorite. It is a quartz-rich, light-colored variety of granodiorite and is named after a locality in Central Norway, where it was discovered. Other large veins also are found in Alaska and Andes. Trondhjemite contains very little or no alkali feldspar, whereas quartz content is more than 20%. Biotite and hornblend are the dark constituents that are regularly distributed and make up less than 15% of the whole. A 12’x4’x4’ chuck of trondhjemite that was blasted from the original quarry is now resting on the Tinner Hill historic site. The Tinner Hill Monument Arch on the corner of South Washington Street (Route 29 or Lee Highway) and Tinner Hill Road in Falls Church is made entirely from trondhjemite. During this era, top of the hill and the slopes were likely an Oak/Hickory forest with trees over 100 feet tall and a thick forest floor of rich, black soil. The surrounding base was likely a chain of beaver ponds with adjoining meadow/swamps in the lowland. The hill was likely cleared of forest in the early 18th century for a tobacco plantation. Erosion from rainfall would have quickly removed the rich layer of topsoil formerly protected by forest cover and carried the sediment to the surrounding streams. During the Colonial and post-Revolution eras enslaved people working on the Dulany Plantation purportedly lived on Tinner Hill. The Dulany family home was on the west face of the adjacent Prout Hill. Little research has been completed on this era. Following the Civil War, the hill changed ownership until Charles and Mary Tinner purchased the top, plus the western and southern slopes. It was at this point that it became known as Tinner Hill. They subdivided the hill for homes and lots for their children. The eastern and northern slopes changed ownership many times. A portion of the eastern and northeastern slopes was purchased near the beginning of the early 20th century by Edwin Bancroft Henderson. During the late 19th and early 20th century, the land was used for both residential and farming. A dramatic change occurred in 1922, when route 29 (Lee Highway and South Washington Street) was cut and paved right across the top of Tinner Hill. The previous road, Old Fairfax Courthouse Road followed a pass heading west between Tinner and Berryman Hill. Providing a major thoroughfare through the middle of the hill brought many more people and commerce to the hill. By the mid-20th century, the land has been used for both residential and commercial uses. The most noticeable portion of the hill is commercial. The Tinner descendants still reside on Tinner Hill.